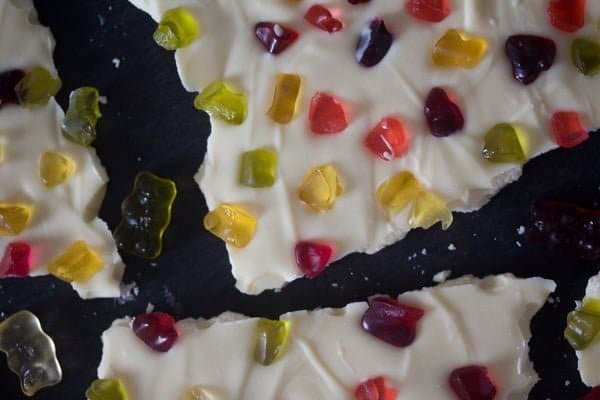 A decadent white chocolate bark topped with CBD infused gummy bears, I can think of quite a few people who will go crazy for such a Christmas present. This post is sponsored post. All opinions are my own. We were talking about CBD lately – see this post for more detailed information. Cannabidiol is a chemical compound found in cannabis, which has important medicinal benefits without the drawback of getting you high and causing you problems with the law. It was in the 1960s that the first cannabinoid was discovered. Ever since, there are more than 80 different cannabinoids that have been found. They are all being extensively researched nowadays, scientists seeking to identify more of their potential in relieving symptoms or fight disease. Two of the best known cannabinoids are the CBD – Cannabidiol and the THC – Delta-9 – tetrahydrocannabinol. Interest in the Cannabis industry is exploding. Countless cannabis based products make it to the market, but the confusion some people feel when talking about these products is still considerable. So what makes CBD good for you, while marijuana remains an illicit drug? We already know that CBD is one compound of the cannabis or hemp plant which can help you with your health issues without getting you stoned. THC is also a chemical compound of the cannabis plant, which delivers the high that occurs when consuming marijuana. Both compounds have the same molecular structure and only a very small difference in how the atoms are arranged causes them to affect your body differently. As mentioned in the last article the human body produces some cannabinoids on its own and also has two types of receptors for cannabinoids, which are present in the whole body, many of them being found in the brain. Both CBD and THC are similar to our body’s endocannabinoids and they are able to interact with their receptors. THC binds with the receptors in the brain causing the high, while the CBD binds very weakly or not at all, thus not causing any high. Both compounds have medical benefits. CBD can help people suffering from inflammation (including arthritis and circulatory-related ailments), psychosis, mental disorder, seizures, spams, depression, migraines, stress relief and other conditions. THC can also help alleviate pain, insomnia, low appetite, nausea, spasticity, glaucoma and anxiety. However, it all seems to come down to the side effects. CBD is generally well tolerated by adults and it cannot really be taken in a too high or dangerous amount. According to DiamondCBD, a high dose of CBD is not dangerous, but wasteful, as it is not cheap and a smaller amount of CBD will get you the same effect for less money. On the other hand, THC does have side effects. It does make you stoned, extensive consumption can have long term psychiatric effects, increasing the risk of developing mental illnesses, such as schizophrenia. Other temporary side effects of THC are an increased heart rate, troubles with coordination and reactions, a dry mouth, weird looking eyes and confusion. And not to forget that you might get into troubles with the law when consuming marijuana. I really hope that with this article I am able to help you understand the difference between CBD and THC. In the previous post I wrote about the CBD oils and made this wonderful and crispy red cabbage slaw with a peach flavored salad dressing. To make the dressing I used a little peach flavored CBD Oil. Today, I am a using the CBD infused Gummies from Meds Biotech. Meds Biotech CBD are a CBD brand that is made with organic industrial hemp and free of THC. The products provide high quality CBD in deliciously flavored edibles and concentrated CBD oils. 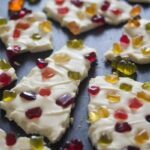 I chose to make a white chocolate bark decorated with CBD infused gummies. Christmas is approaching fast and I can think of quite a few people, who would love to nib on such a chocolate, people suffering from chronic pain (like my mother in law), people dealing with anxiety issues (like one of my best friends) or people having trouble sleeping (like myself). When making the peach salad dressing the other day, I mentioned that it is important to mix the CBD oils with the fat in the recipe you are making. The fats help to activate terpenes, which provide CBD oils with distinct flavors and scents and other properties, in the CBD molecules, maximizing the health benefits. However, that is not necessary when consuming the CBD infused gummy bears or any other types of CBD infused sweets. 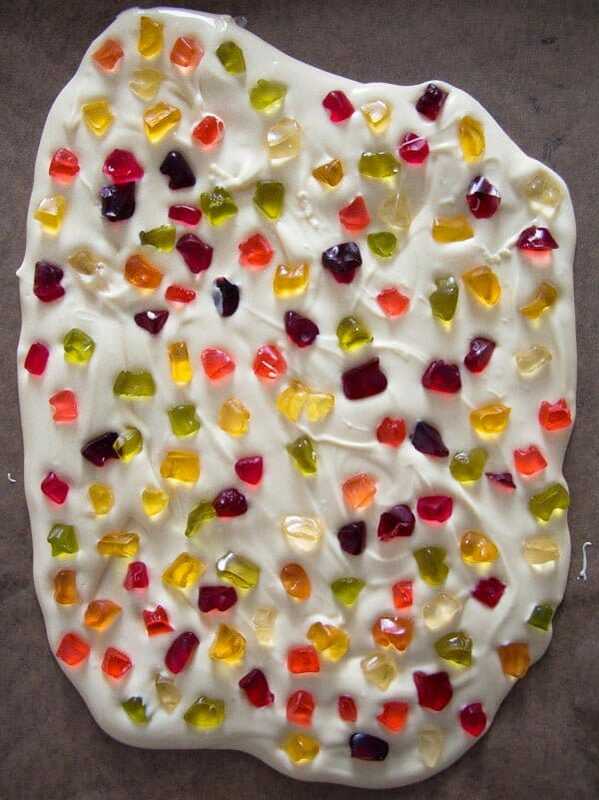 All you have to do is melt the chocolate, make your bark and top it with any kind of gummy bears or candy you like. Gummy bears are not the only sweets offered by Meds Biotech, but also Watermelon CBD gummies, gummy worms, gummy rings, infused rainbow or ocean bites and even sour gummies. 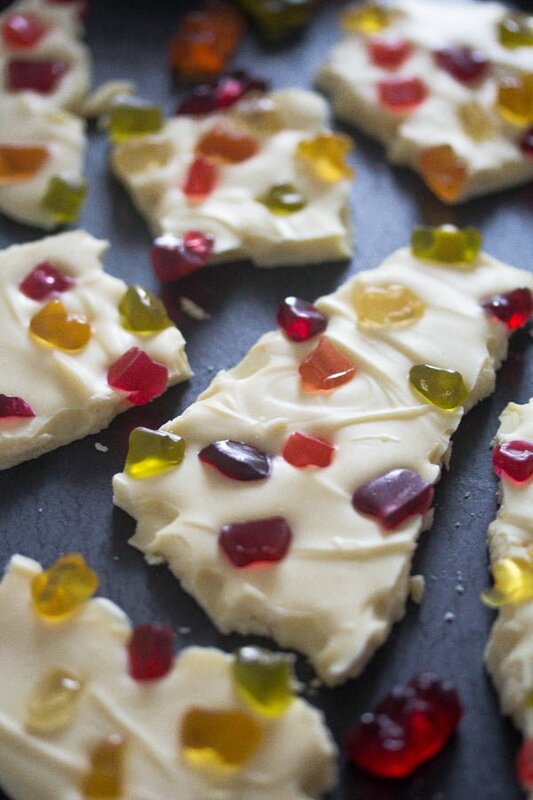 I do love sour gummies, but I would not put them on top of this white chocolate bark, I really don’t think that would be a good combination. But you could enjoy them as they are. The most important thing when making chocolate bark is to use the best quality chocolate you can afford. A bark is almost all about the chocolate and no additions would manage to cover the taste of low quality chocolate. I only use a brand of white chocolate that we also enjoy eating as it is. To make the bark look really nice and shiny, you will have to temper the chocolate. It is not a mandatory step as it will not affect the taste of the chocolate, but it does make the chocolate look glossy and smooth, so much prettier! Usually you would need a kitchen thermometer to temper the chocolate. I do that when making chocolates or something fancier, but I skip the thermometer part when making a simple chocolate bark. However, I still perform some kind of chocolate tempering anyway. This means I will first melt two thirds of the chocolate in a double boiler, remove it from the heat and add the remaining chopped chocolate, in about 3 batches, stirring until everything is nicely melted and smooth. Pour the chocolate on a baking tray lined with baking paper and decorate it with CBD infused gummies or any other candy of choice. I prefer to chop the gummy bears because they are too large and I would need way too many of them if I used them whole. Place the chocolate bark in the fridge until set, break into pieces and enjoy. 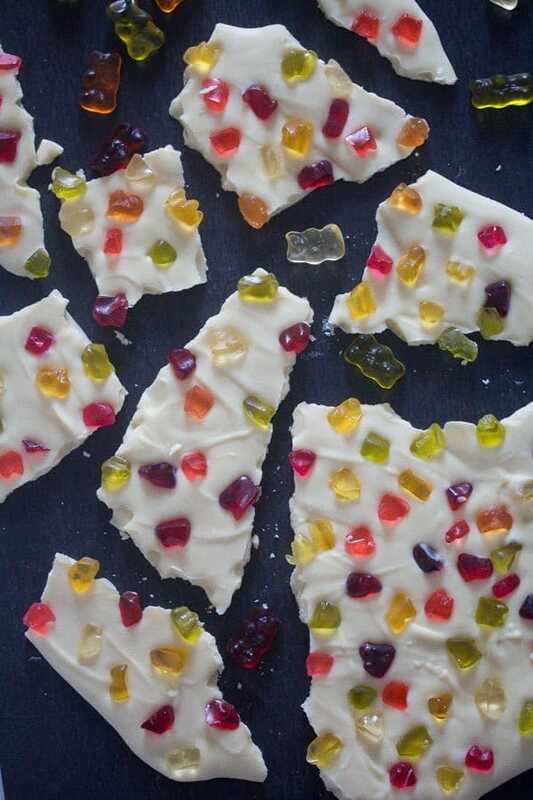 Chop the white chocolate into small pieces. 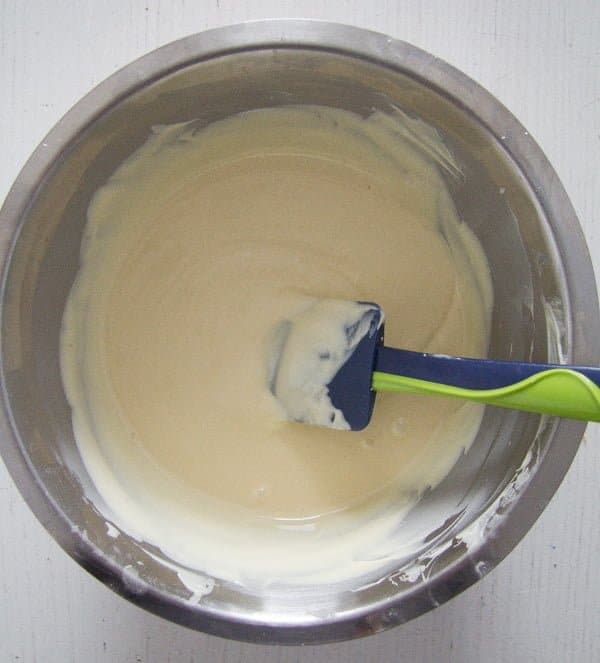 Give two thirds of the white chocolate to a double boiler and melt the chocolate fully. Remove the chocolate from the heat and start adding the remaining chopped chocolate, a little at a time, stirring well with a plastic spatula and only adding the next pieces of chocolate when the ones previously added are melted. Stir in the pure vanilla extract. Pour the chocolate onto the prepared baking tray. 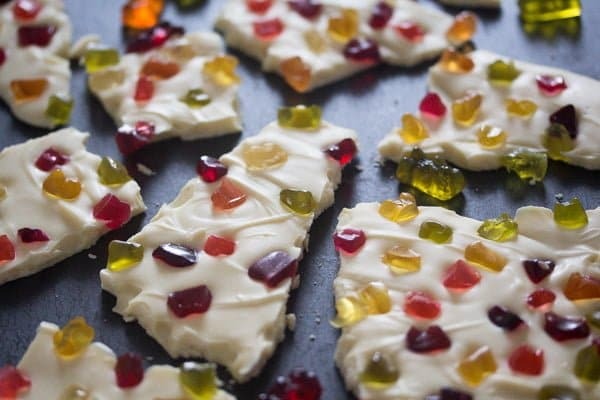 Sprinkle the chocolate with the chopped gummy bears or other gummies. Let the chocolate bark set at room temperature for at least two hours or refrigerate to speed things up. Break into pieces and serve. Note: Regular gummies can be used instead. Adina, such and interesting article! I have some family members who are waiting for the legal version of cannabis with no THC to be legalized for medical treatment. The authorities are moving so slowly while many are suffering. I’ll have to look into the CBD. Thanks for highlighting this important product! My husband is going to crazy about these treats! And I love just how easy the preparation is. these bars!! ohh my goshh … looks so tempting.. I love white chocolate more than a milk or dark ones. I am sure gonna try this recipe..
A great and informative post. I had some experience with the compound when younger, but the CBD and THC were not separated. No surprise that the positive benefits of Marijuana are now being explored further. Good stuff I say. So, does anyone make THC gummies? That would make for an interesting White Chocolate Bar. I’ll be checking into the CBD gummies.